Today, let's talk about the Genius Bloggers Toolkit bonuses. Yesterday I told you about my favorite blogging deal of the year – The 2018 Genius Bloggers Toolkit. What I didn't focus on – but I think is worth mentioning are the BONUSES! Typically, Ultimate Bundles will offer up some sweet freebies if you buy a bundle – and the Toolkit is no different. First up is the early bird bonus …. This year the early bird bonus is a 2-month UNLIMITED subscription to the Stencil App (new customers only). I love the Stencil App. In fact, I am a customer and use it to create about 90% of the images on this blog and for my Pinterest account. You can even read my Stencil App review here. If you struggle to create images for your blog posts – then the Stencil App is for you. It is one of the easiest graphic design apps that I have used which means I can create decent looking images quickly. Now, here's the thing, the early bird bonus is only available if you purchase the 2018 Genius Bloggers Toolkit before midnight tonight – October 11, 2018. Simply CLICK HERE to learn more and get your copy. If you miss the early bird bonus, it doesn't mean that all is lost. The 2018 Genius Bloggers Toolkit comes with some pretty exciting regular bonuses that are available as long as you purchase your Toolkit before the end of the sale (the sale ends at midnight on October 15, 2018). Personally, I am super stoked to try the Podia platform. It is a site where you can sell your online courses, memberships, and downloads. The “Shaker” plan (as in movers and shakers) is typically $79 per month – so 3-months free is already more than the value of the entire Genius Bloggers Toolkit. What is the Genius Bloggers Toolkit? I covered the Toolkit in more detail in my post yesterday. 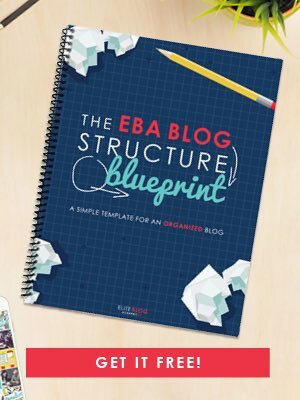 But the short version is that the Genius Bloggers Toolkit from Ultimate Bundles is a big bundle of 77 courses, ebooks, and resources that will help you start and grow your blog. It covers everything from blogging basics for beginners to legal to social media to creating products. If you had to buy each product individually you would pay $5,867.88, to be exact, but for a limited time you can get everything for only $97! Simply CLICK HERE to learn more and get your own bundle today.